​As a long time resident of Winnsboro, Randy has been involved in Winnsboro in many different capacities, and has served the citizenry in many ways. Randy is currently self-employed, providing private security consulting services and has been in the Information Technology / Security industry for over 18 years. He is very familiar with the technology needs of local governments today. This is expertise and knowledge Randy hopes to put to good use for the City of Winnsboro. He also wants to work with City Staff to help make Winnsboro more transparent in its governmental operations. Brenda is a native Texan and long-time resident of Winnsboro. Prior to retirement she was Marketing Officer of First National Bank of Winnsboro. She and her husband, Ronny, retired postmaster of Winnsboro, have two sons and daughters-in-law, and six grandchildren. During her career, she was active in community organizations including Chamber of Commerce, Main Street, Autumn Trails, Keep Texas Beautiful, Winnsboro Art Center, Pilot Club and Civic Club. Brenda is currently serving as President-Elect of the Standard Club of Winnsboro, is a member of the Rock Gym Preservation Committee, a Member on the Winnsboro Economic Development Corporation Board of Directors, and an active member at First Baptist Church of Winnsboro. Brenda strives to promote "Progress and Preservation" for the City of Winnsboro. Michael moved to Winnsboro, Texas in 2010 when he married local girl Sandra Fransen. They have seven children and eight grandchildren. Being a part of a growing community is a very important aspect of life. Currently Michael serves on the Main Street board. He is the President and CEO of “Moon Monkey Production” and the Finance Manager at Texas Country Ford. Katy is a 1996 WHS graduate who left East Texas to proudly serve our country in the United States Marine Corps. During her service, she met and married Felipe Perez, Jr., a career US Marine. Together they had two children, both of whom now attend WISD. After ending her own career in the military, Katy's family continued to travel all over the globe in support of Felipe's prestigious military career. During that time she pursued her love of writing, and is now a published author. Along with her writing career, Katy is a Texas Chapter Field Advocate for the American Foundation for Suicide Prevention and an active volunteer within her community here in Winnsboro. As a City Council member, Katy will proudly invest her time and energy into this public service, aiming to be part of a team while giving a voice to the members of the community. She also wants to provide transparent representation, so that the Winnsboro public is aware and understands the action our city government takes. She is committed to helping drive our town forward for the betterment of all its current and future residents. Employed as Clerk of the (Transportation Authority) Board, which consisted of 14 mayors, and 5 county board of supervisors, for a period of 14 years. As a result of this experience, she is very familiar with the Open Meeting laws and Public Information Act and aware of the many difficult decisions elected officials are faced with. Appointed to the Alameda County Health Advisory Board, Human Relations Commission, and Transportation Citizens Advisory Council. Prior to her 14 years in the above capacity, her professional career included 15 years in various educational facilities, including the University of CA, Berkeley Agricultural Economics Department, Chabot Community College, and California State University, Hayward. Upon moving to Winnsboro, she immediately began volunteering at the local hospital, and became involved in local church and community activities. 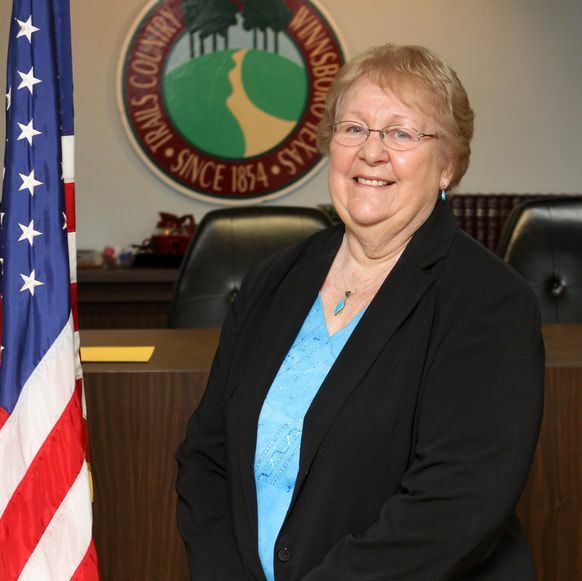 In the past six years, Joan has served on the Winnsboro’s Economic Development Corporation Board, the WISD Facilities Committee/Political Action Committee and is in her second term as a City Council Member. Joan states that “it is her goal as a City Council Member, to be responsive to the citizens of this great city, to bring economic vitality in supporting local and new businesses, and to always be seen as an honest and trustworthy representative of our public service responsibilities”. Jim Hollowell grew up in Dallas, Texas. He attended college at Stephen F. Austin in Nacogdoches and fell in love with East Texas and the friendly people here. Jim has been working for Pilgrims for fourteen years, and has been in the poultry industry for over 43 years at various supervisory and management levels. Jim and his wife, Marilyn have lived in Winnsboro since 2007. 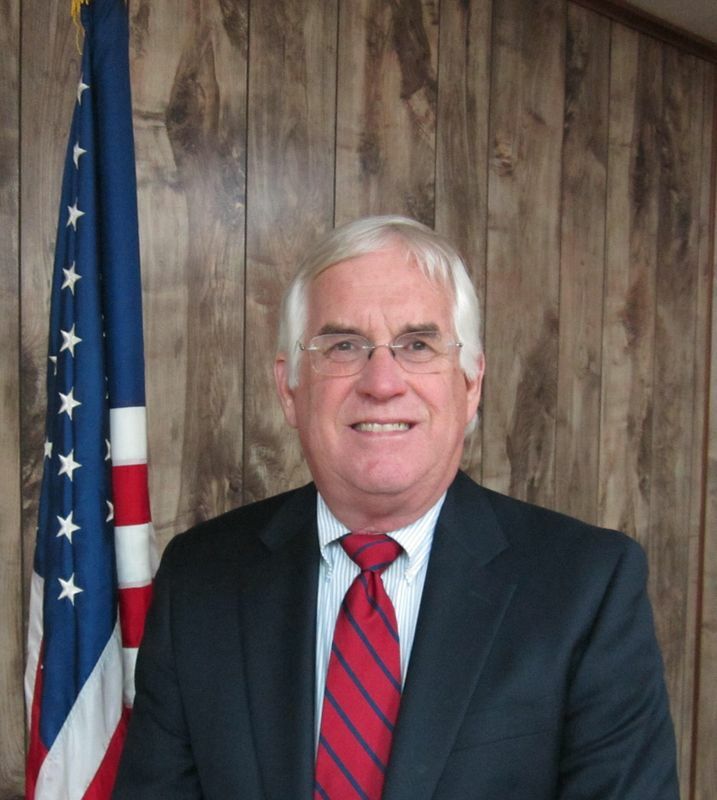 Jim has served on the Planning & Zoning Commission Board and on the City Council. He is an active member of the Winnsboro Reformed Church. Jim's goal is to promote the Economic Development, Fire Protection, Police Protection and infrastructure of Winnsboro. The Winnsboro Civic Web allows citizens to view upcoming and historical meetings of the City Council and WEDC. The City of Winnsboro is a Type A general-law municipality. The Administration is responsible for the overall operation of the City and implementing the policies established by the Mayor and the City Council. The six-member at-large Council serves two-year terms with annual elections being held on the first Saturday in May as provided by Election Code Section 141.001; Local Government Code Section 22.032. (7) Not have been deemed mentally incompetent by a final judgment of court. City Council meets on the second Tuesday of each month at 5:30 pm. Agendas are posted in the glass-encased bulletin board on the south side of the building 72 hours prior to the meeting. All meetings are open to the public. Residents are encouraged to participate.